The power of the written word can transform the human experience... One of the special roles of poetry is to concentrate observations and their attendant emotions in ways that can be a powerful stimulus to our imagination and helps us to transcend the particular moment of occurrence... 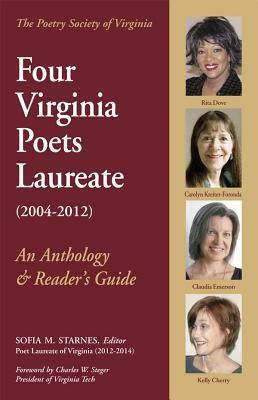 The Poets Laureate of Virginia featured in this anthology possess this special gift. Our lives are richer for their dedication to their crafts as well as the insights from their hearts. - Charles W. Steger, President of Virginia Tech.